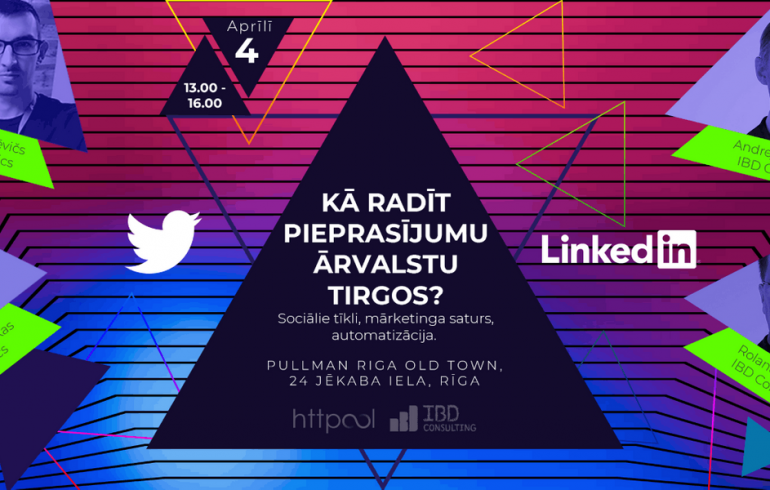 On April 4, in the hotel “Pullman Riga Old Town”, a conference will be held on the current trends in foreign markets in the areas of marketing, social networks, automation, and changes in the B2B and B2C fields. 15: 10-16: 10 “Management tips, Twitter news and trends in 2019”. Lecturer: Artūrs Lukaševičs – Twitter Managing Team, Httpool. During the event the guests of the evening will be able to participate in discussions and share useful experiences.